Making a profitable business is still not the reason to relax and stop looking for news in e-Commerce. Its main instruments such as shopping carts are in constant development. They continue their improvements to offer clients new options and features. And one of the most powerful platform, PrestaShop, goes in step with the times releasing its 1.6 version. For the entrepreneurs, it’s a great chance to refresh the outdated design and modernize software all at once. So, what makes the newest version of PrestaShop the best ever? Responsive back office. You do not have to bother yourself looking for access to computer as there is the opportunity to manage online store on a mobile device. Re-design. New version of this shopping cart offers more advanced, impressive design themes for the web stores. PrestaShop has integrated Bootstrap, Sass, Compass, iconic fonts to make the look of the web sites more eye-catching. User-friendly back end. The back office has been improved and refined. Now the features are easier to operate and use. Hence, the process of customization goes more smoothly with more adjustable menu. Moreover, it provides the special pointers-prompts that guide you through setting up the template. Smart Estimate Statistics Panel. This feature is developed especially for online merchants, who consider current tendencies and forecasts. It shows them how the sales are trending and how it is going to be in the future. So, there is a chance to hit the target audience with a fully proved strategy. Smart Key Performance Indicator (KPI). KPI allows businessmen to trace details such as number of male/female clients visited, best selling products or services etc. This valuable KPI information is presented in the select-page of the back office, which can help your web store make available the right product. Now you know what benefits the new version can bring to your business. 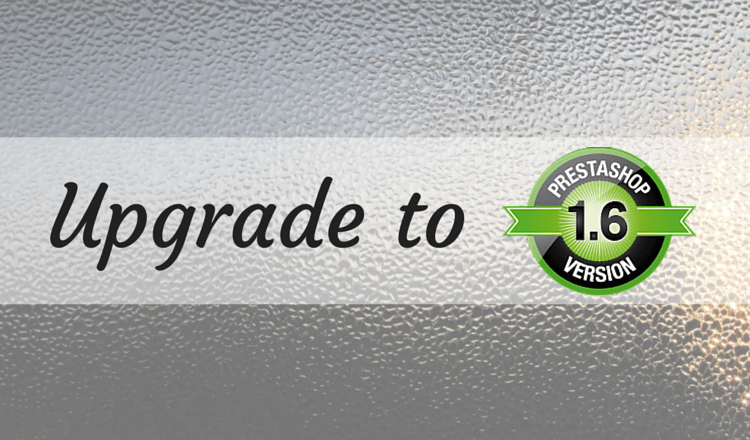 The next step is to find out how to upgrade PrestaShop 1.5 to 1.6 in only a few stages with no technical skills. So, check the prezi for your better convenience. Therefore, if you want to refresh your web store and enjoy all the advantages of the latest version of one of the best e-Commerce solutions, go ahead and upgrade from PrestaShop 1.5 to 1.6.